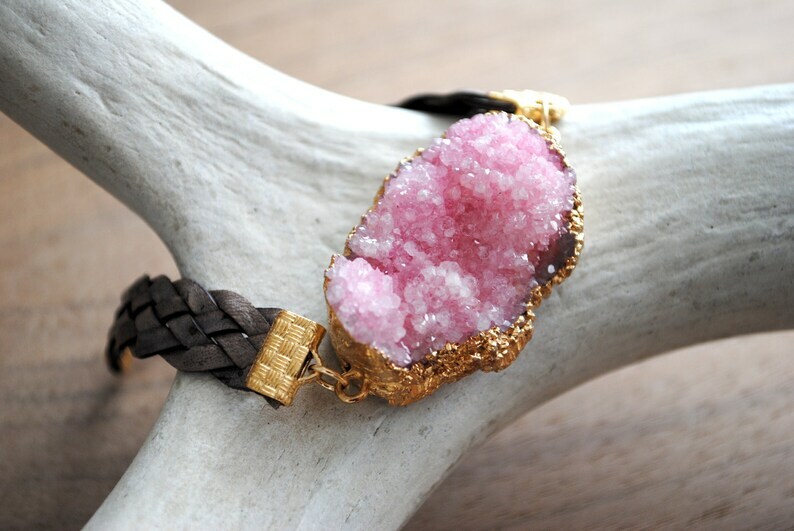 ⊿⊿ This braided leather bracelet features a beautiful gold plated druzy stone as its focal point. It is made of genuine leather and aside from the crimped end fittings on the leather all the gold components are genuine 14k gold filled. It can be adjusted to fit wrists in the size range of approximately 7 1/4" to 8 1/4" . At the widest point, the bracelet is about 1 1/2" in width.